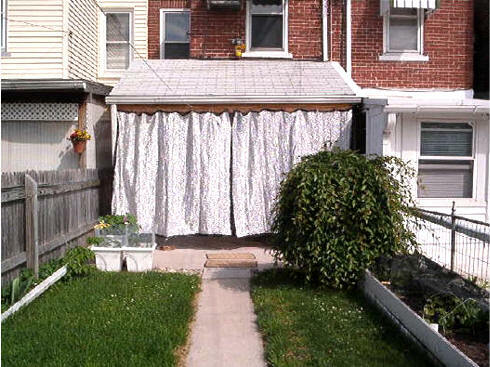 I bought aluminet sheets from you to use as a "curtains" to shade a "problem" patio and it's the BEST thing I've done yet to solve that problem. 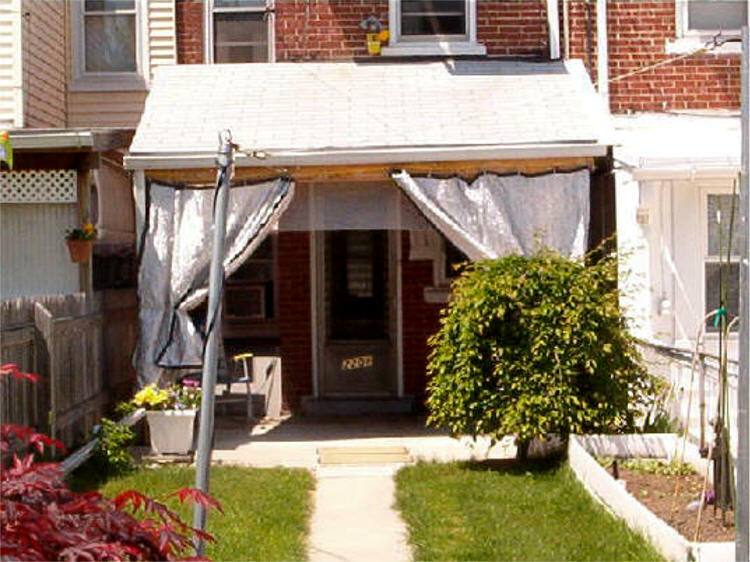 It's difficult because it is a covered patio between two row other row homes and the cement patio base extends beyond the post beams. In addition the roof is not connected to the others. The patio faces south with only young trees and no shading yet. 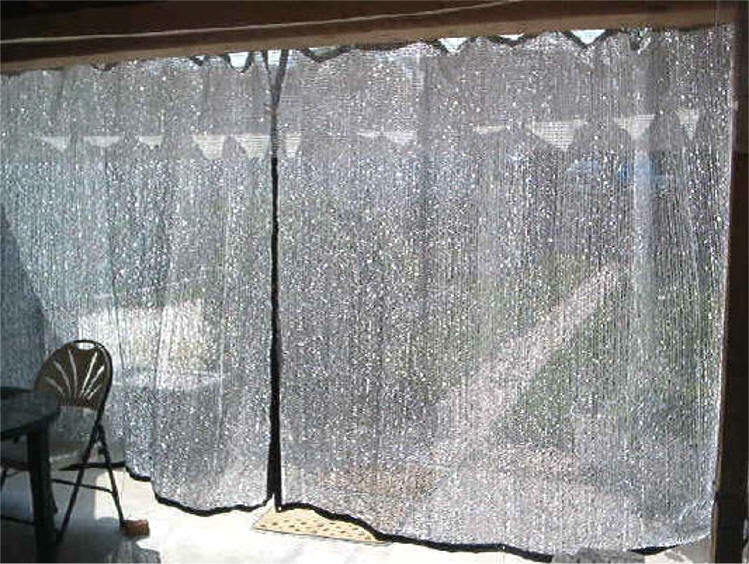 I also bought a strip of white shade cloth to attach to the inside of the patio roof to add extra shade and act as a valance to keep the worst of the morning/noon sun out. I'm attaching photos to show you what it's like - they are NOT picturesque, but at least explain why the product has been SO helpful. 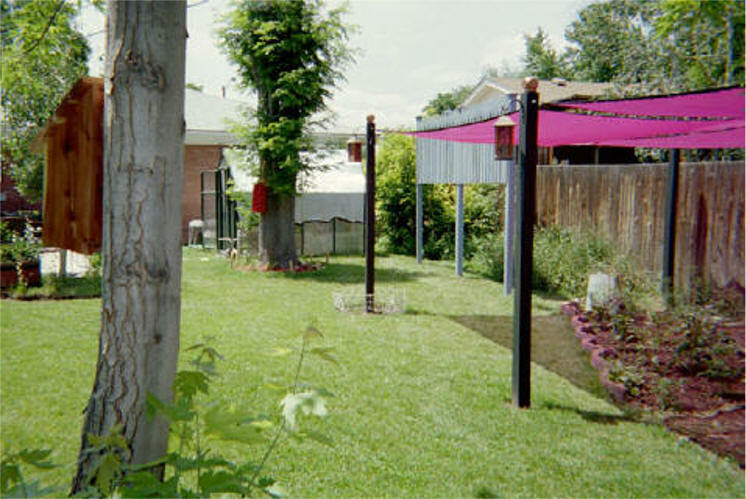 Photo #4 shows the shade factor from the inside of the curtain looking into the yard. Thank you.